With Cyril gone & Eddie cooked he is the man now! Supporters from other clubs love him too. Just they wait til Mozzie is in as well! Nice that it is at a point that it is debatable though. When Walla puts a game in like this. Yes. The best players in the comp are good every week, with the exception because of a masterful defensive job by their opponent. Cant wait to see the rest of his season after that. Whho was on him? Or did he simply destroy their complete backline. Don’t recall who started on Walla, but Bailey not playing for the Lions didn’t help. That chant during the third and fourth quarters was insane! Just loved his work at one on ones - spoiling to advantage. It’s a much improved dimension to his game. Tippa is a great tackler, but looks even better when he is going in to win the ball. When is the contract extension going to be announced? Not thanks to the drug saga at all. We knew what we had. It was only a matter of time before we picked him. Walla that was awesome! 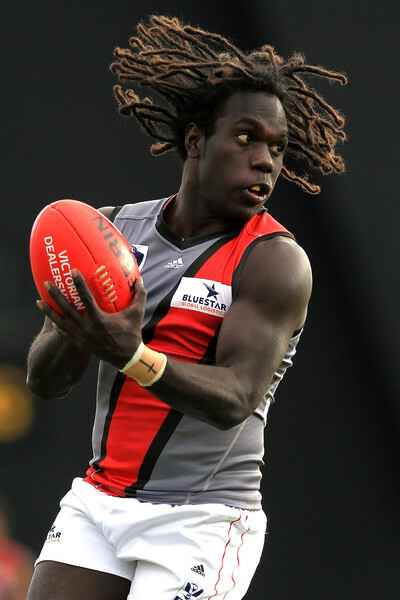 Best indigenous player in the comp now. Terrific game. Out of the box. Always threatened to do that. Who was the last Ess player to kick seven goals? Lloyd, perhaps Lucas? He literally handed Brown a goal. Incorrect. We drafted him the year before the bans.